Our distillers are alchemists as much as they are distillers. 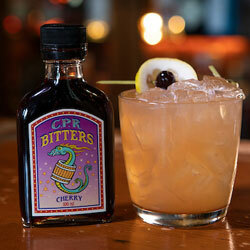 They work with all kinds of unique botanicals and natural flavors for McMenamins spirits, so it only made sense for them to apply that expertise in developing bitters that would complement our ever-evolving list of Northwest-inspired cocktails, as well as the repertoire of home bartenders. 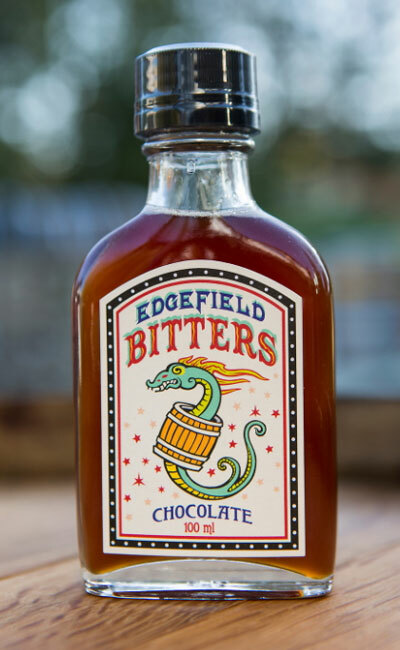 Our new line of bitters is available in four varieties: Cherry, Citrus Hops, Chocolate and Aztec Chocolate. 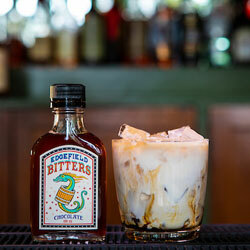 Matching bitters to your favorite McMenamins spirit is as easy as matching the strength of one product to another. 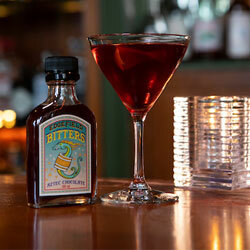 Our Cherry Bitters play wonderfully with Hogshead Whiskey (think Manhattans!) 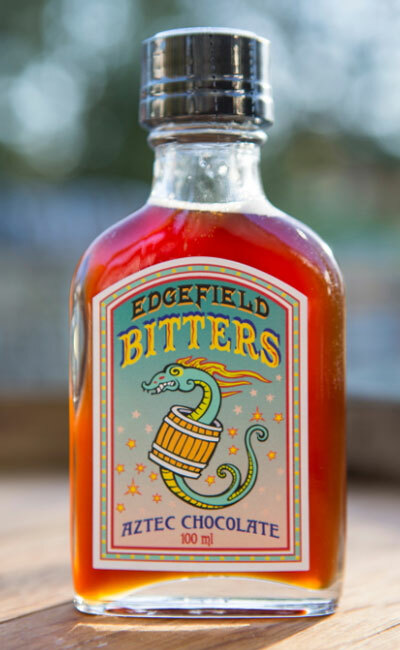 while our Citrus Hop Bitters complement the botanicals in our Gables Gin, and Aztec Chocolate Bitters pair perfectly with your favorite tequila. 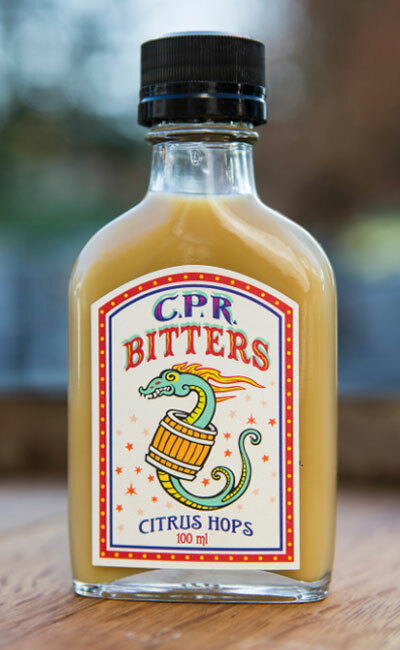 If you have questions about how to use your new bottle of bitters, ask your local bartender; they’re happy to help you create your new favorite elixir. Locally roasted cacao nibs, herbs and Mexican red peppers create a spicier version of the traditional Chocolate bitters, adding depth and intrigue to sweet or savory sips. 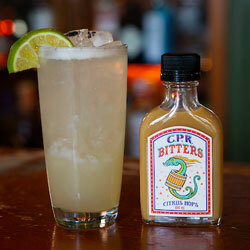 Grapefruit zest, hops and a small amount of orris root—the fragrant rhizome of the Iris flower—make for a floral, citrusy addition to cocktails or seltzers. Locally-roasted Ecuadorian cacao nibs impart a rich cocoa butter and pure chocolate flavor that nicely accompany dark spirits and comfort cocktails. 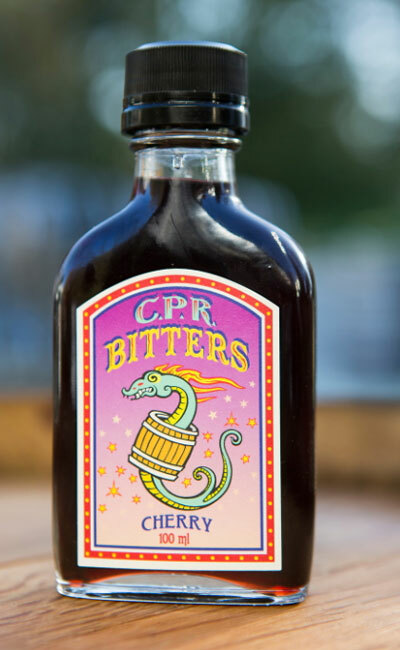 Inspired by the cherry trees that surround the granary at Cornelius Pass Roadhouse, red sour cherry, dark sweet cherry and fresh herbs lend themselves to a tart and very aromatic flavor profile.